What are the top 10 things to do in Bhutan? 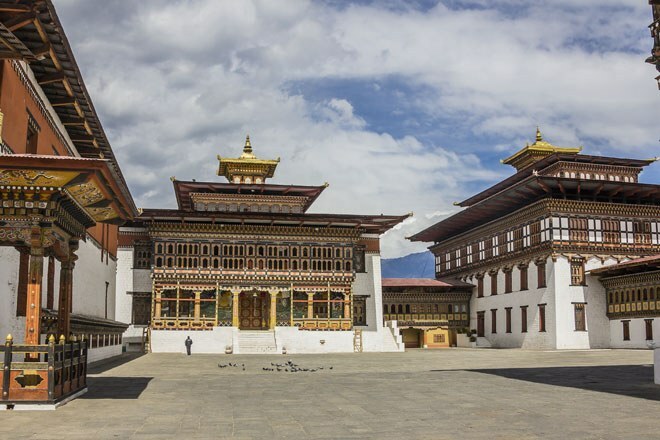 Whether you’re planning on spending a week or a month in Bhutan you’ll not be short of things to do. It may be small, but the Thunder Dragon Kingdom, is packed with no end of possibilities whether you want to tour the cultural sights, explore the towns, discover the countryside or head to the Himalaya on an adventurous trek. Here’s our guide to the top 10 things to do in Bhutan – but we could have made it a top 100! For every first time visitor a walk to the entrance of fabled Tiger’s Nest Monastery should be top of their must do list. Impressive enough when viewed from the valley floor, the close-up views of gravity defying Taktsang are even more spectacular and endlessly photogenic. It takes around three hours to reach the entrance but there is a handily placed tea house with great views en route to break the steep climb. Alternatively, you can approach the Monastery from above on a little used trail known as the Bumdra Trek (see ‘Take a short trek’ below). Wide, verdant valleys carved by glacial action, are one of the most beautiful hallmarks of the Bhutanese landscape. 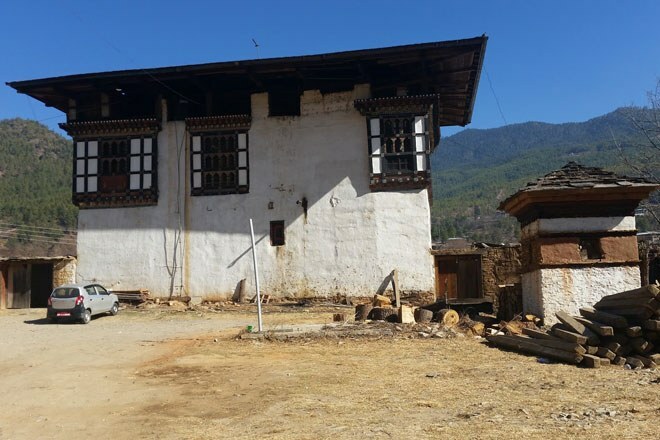 Haa, Paro, Punakha and Gantey are amongst the most accessible and all offer the opportunity for some delightfully gentle walking all year round. Valley walks will reveal village life, characteristic chalet-style houses, fertile terraces and fields, interesting flora and fauna and many fascinating chortens and small monasteries. You will be welcomed with a wave and smile by the friendly locals and maybe even offered a potent glass of homebrewed ara. You have been warned! We offer two gentle walking holidays in Bhutan that include ample time to explore the valleys and countryside as well as visiting the key cultural sights and attending a festival - Gentle Walking Bhutan and Thunder Dragon Trails in Style. If you thought that the yeti was just a mythical best then you really should visit Bhutan. Many locals living in the remote, mountainous north tell tales of yeti sightings (or Migoi as it is called in Bhutan) and there’s even an official yeti reserve in eastern Bhutan. Although rather camera shy, you’ll know there’s a yeti nearby as they’re said to smell horrible, whistle loudly and walk backwards! 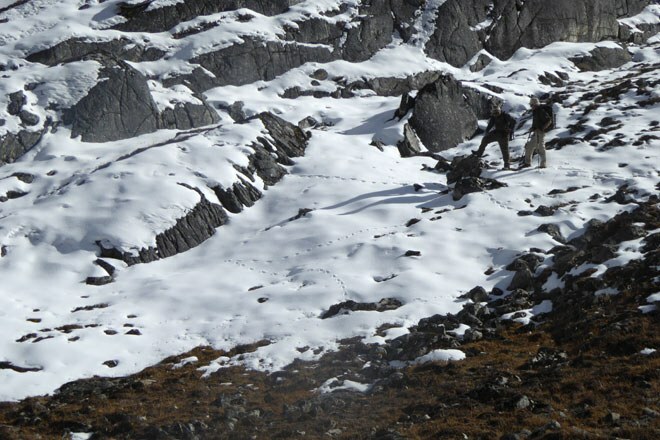 Our MD, Steve Berry, is one of the UK’s foremost yeti hunters and has seen large, unexplained footprints in the snow whilst trekking near Gangkar Punsum on several occasions – take a look at the evidence here! You too can search for a yeti on our Gangkar Punsum Approach Trek or in the little visited far east of the country on our Rodang La Trek. A combination of fortress, monastery and administrative centre, dzongs are a unique feature of Bhutan and a visit to at least one dzong should be high on anyone’s list of things to do in the Thunder Dragon Kingdom. Architecturally distinct they often dominate the skyline with their towering whitewashed walls, intricately carved windows and facades and ornate ochre and gold roofs. The massive walls and wooden doors surround courtyards and complexes of offices, accommodation and temples that often hold important religious and historic artefacts. Amongst the most renowned dzongs are those in Paro and Thimphu as well as the beautiful riverside dzong at Punakha. Along the northern border of Bhutan lie the Himalaya with mountains rising to over 7,500m tall. 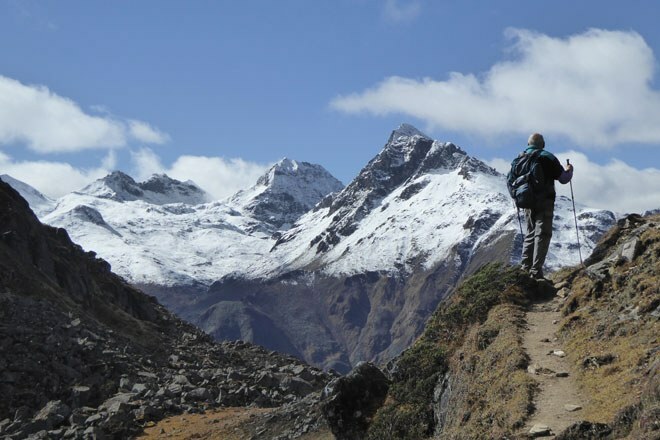 Gangkar Punsum, Chomolhari and Jichu Drake are just some of Bhutan’s most celebrated peaks and it’s possible to trek in the shadow of these on several superb trekking routes. If you only have a couple of weeks to spare, the base camp of Mount Chomolhari is a very achievable objective with a superb return via the beautiful Bonte la pass. If you have three weeks leave to use then you can trek all the way to the remote and culturally distinct villages of Lingshi Laya or, if you can find five weeks then the epic Lunana Snowman Trek should be right at the top of your trekking wish list. Wherever you go in Bhutan you’ll see the locals wearing their distinctive national dress - a gho for the men or a kia for the ladies. By law, all men who work in a government office or school must wear a gho as well as on formal occasions. Often made from intricate, handwoven fabrics to traditional patterns, a gho or kia make a great souvenir to bring home from your travels. The artisan textile shops of Thimphu are amongst the best places to find ghos and kias to try on or buy, and a visit to the excellent National Textile Museum will show you the fabrics being made using age old techniques. If you treat yourself to a stylish gho or kia, there’s no better place to show it off then a Bhutanese Festival (or tsechu). These joyful occasions are full of dancing, music and socialising and you can even gain spiritual cleansing by watching the colourful masked dances that enact Buddhist stories and legends. 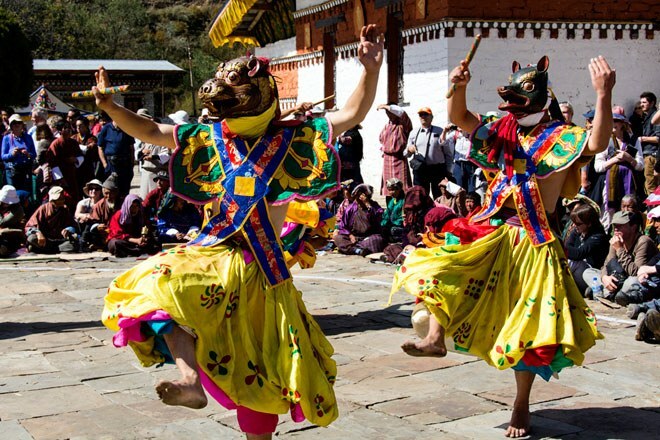 The two most significant festivals are the Paro and Thimphu tsechus which attract vast crowds of locals and tourists. For a more intimate experience, visit one of the smaller village or community festivals such as Tangbi Mani or Trongsa Tsechu. You don’t have to go into the high Himalaya to enjoy a trekking holiday in Bhutan. In fact you can spend as little as one night under canvas on the Hidden Valleys of Bhutan Trek which will take you far from the tourist trail and into the hills. 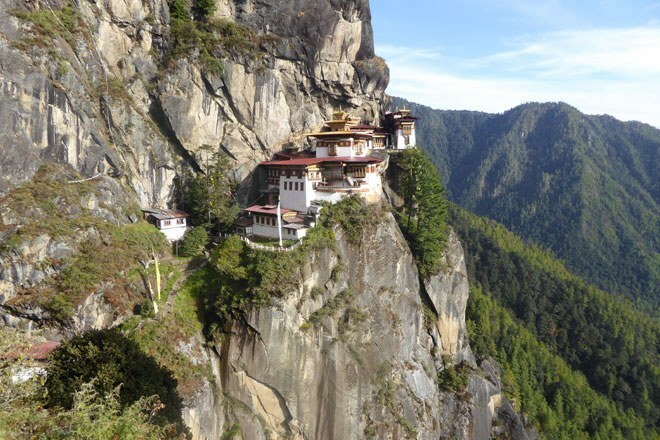 This trek climbs from the valley floor at Paro to reach a scenic campsite beneath a monastery before taking a lesser-trodden path to Taktsang Monastery. Journalist Martin Symington undertook a similar trek with Mountain Kingdoms in 2016 and you can read all about his experience in this Wanderlust magazine article. The Paro Valley is also the starting point for the Druk Path trek which takes an ancient mountain trail to Thimphu over five days. 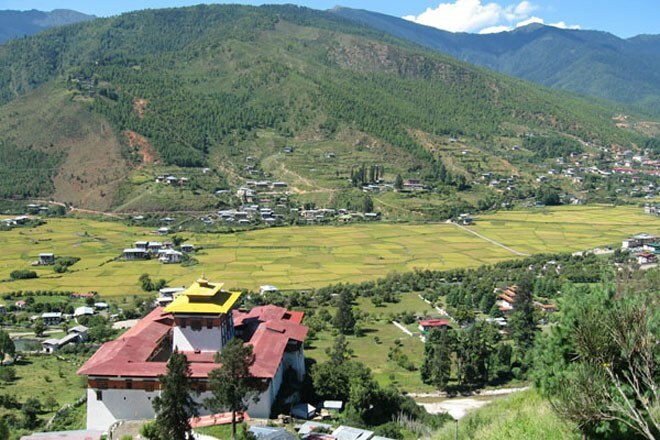 You can then continue trekking for a further four days to Punakha to complete the Chorten Path trek. Ema datsi – a curiously spicy mix of chilli and cheese – is the national dish of Bhutan. The locals love it but beware the power of the chillies which can be rather hot! If the heat proves too much for you try washing it down with a glass of locally brewed ara – a potent, fermented ‘rice wine’. Other popular foods in Bhutan include momos – dumplings filled with minced meat or vegetables, phakshaa paa – pork and red chilli stew, and healthy red rice grown for centuries in the Paro Valley. 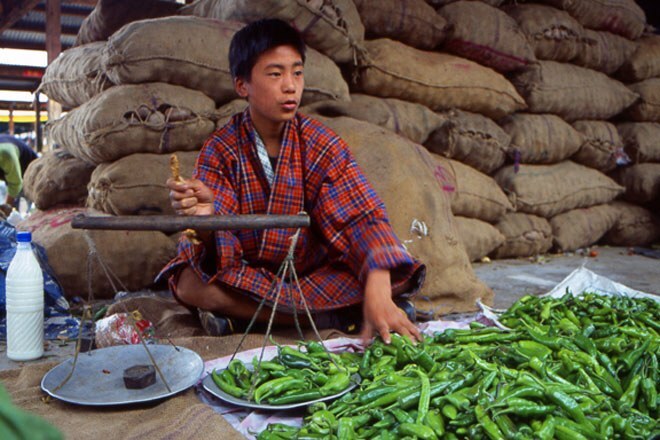 Thimphu market is a great place to visit if you want to discover some of Bhutan’s more unusual produce. Bhutan has an impressive array of hotel accommodation from comfortable, characterful lodges to elegant, luxury resorts. But to really gain an insight into the people, traditions and beliefs of this enigmatic kingdom, spend a night or two in a village homestay. Increasingly, Bhutanese families are opening up their homes and farms and sharing their lives with curious visitors. You will be able to eat meals with your host family, play games with the children and maybe even enjoy a cookery lesson or a game of archery. Homestays can be included in a Tailor Made holiday or added as an extension to a group trip. If you’d love to discover the Thunder Dragon Kingdom for yourself, take a look at our group treks, tours and walking holidays in Bhutan. 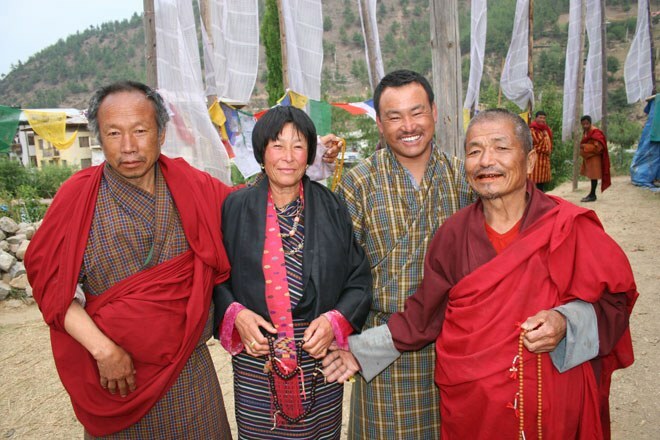 Or visit our Tailor Made holidays to Bhutan for more ideas and suggested itineraries.